The vibrant café based in Cluster I of JLT is bright and breezy with a quirky, fresh décor. 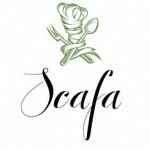 The beautiful environment complements the tasty treats served up by SCAFA’s top Chef Instructors. The Chef Instructors have studied at some of the most esteemed culinary schools and worked for renowned restaurants across the globe. The class act Chef Instructors of SCAFÉ dish up daily specials that have travelled the world, from Asia to South America, and a contemporary European menu with all the favourites, including tapas and lamb tagine. SCAFÉ also offer dedicated food weeks, such as Truffle Week, where the café showcases original recipes and innovative cooking techniques for particular foods. In addition to the scrumptious masterpieces of the Chef Instructors, SCAFÉ is an expression of the learning institute acting as an additional training resource for the students. This provides students hands-on experience and the opportunity to showcase their latest creations to the general public. SCAFA is the only vocational institute licenced by the Knowledge and Human Development Authority of the Dubai government (KHDA), specialising in both professional and enthusiastic culinary programmes. SCAFA is located in Cluster I in JLT and is open every day of the week excluding Fridays. SCAFA is open from 8am to 8pm and SCAFÉ is open from 8am to 10pm. For more information or bookings, please call 04 379 4044 or email info@scafa.ae.